An Austerity type 0-6-0ST No 8 at Bury Bolton Street station in 1990. 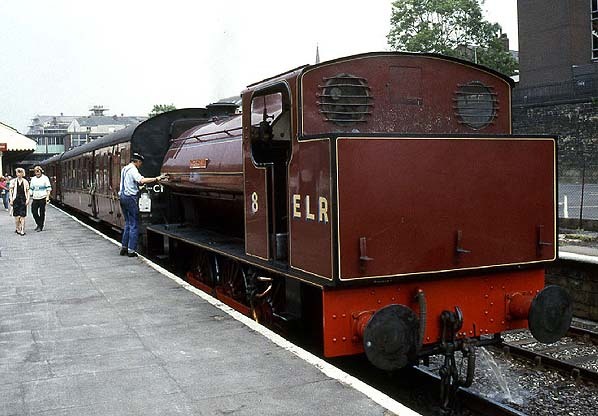 The locomotive was painted in a ELR livery. At this time services only operated as far as Ramsbottom.